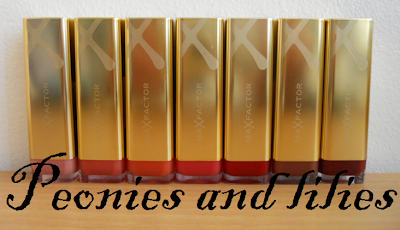 Now there's no denying I'm a lipgloss girl at heart, but 60% of these lipsticks are made up of moisturising ingredients such as shea, avacado, aloe butter, and anti-oxidant white tea. 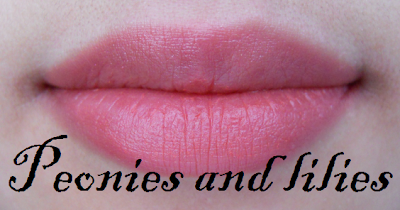 They even claim to improve lip moisture and over time leave you with a smoother surface. 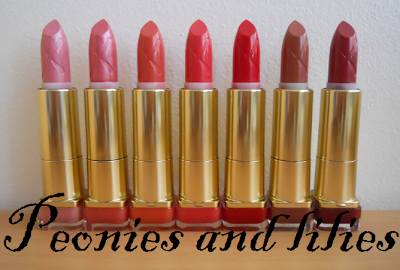 I always apply lipsticks over a balm, but these are creamy, nicely pigmented and non drying on the lips. In fact a couple of shades 'stain' the lips, so when the lipstick wears off, you're still left with some colour. 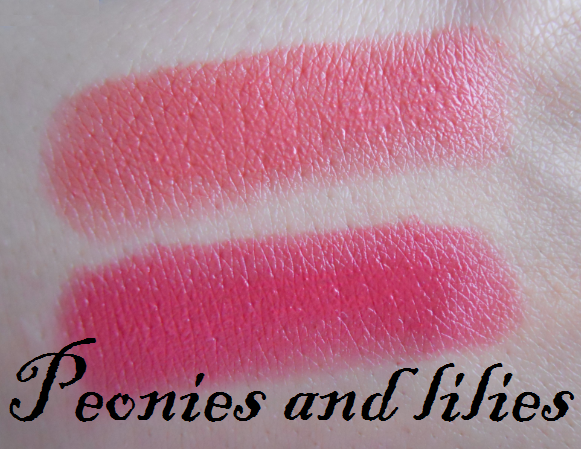 There were a couple of shades (Angel pink and English rose) which were too frosty for my liking, but the others were lovely, and having tried all of them out, my favourite shades are pink brandy and bewitching coral. 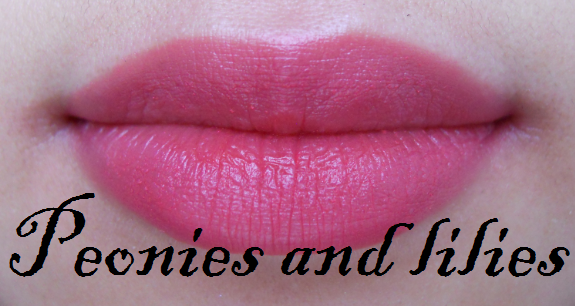 Both are summery shades which gives a polished look to my make up and makes me feel glamorous yet fun! On a final note, how nice is the packaging! Encased in gold tubes with a block of colour at the bottom, they remind me of the more premium Estee Lauder lipsticks and look far more expensive than their £7.99 pricetag. 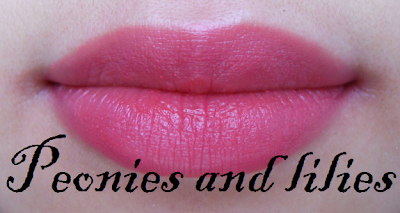 Are you a lipstick or lipgloss girl? What's your favourite shade? 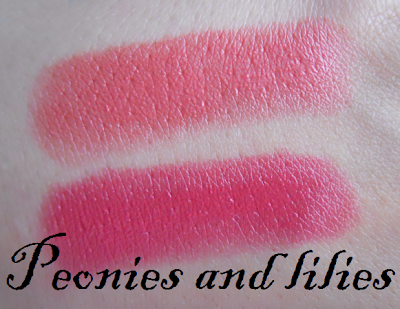 I really like the first four lipsticks but if I was to choose one I would go with either English Rose or Bewitching Coral. They're beautiful. I have to have moisturising lipsticks. I'm so impressed with the packaging. When will these be released? I really want one! I love the colour Firefly, which isn't shown here but is a dark pink.l I got mine on deal at Superdrug for £5.99, not sure if it's still on though!! Gorgeous shades and I like the packaging. I love the ones you picked too! If only we had Max Factor Stateside. Bewitching Coral looks gorgeous on you. I've been indecisive on whether to buy some of these or not. Might have to go have a closer look! The bewitching coral is amazing!